Finally the day has arrived! 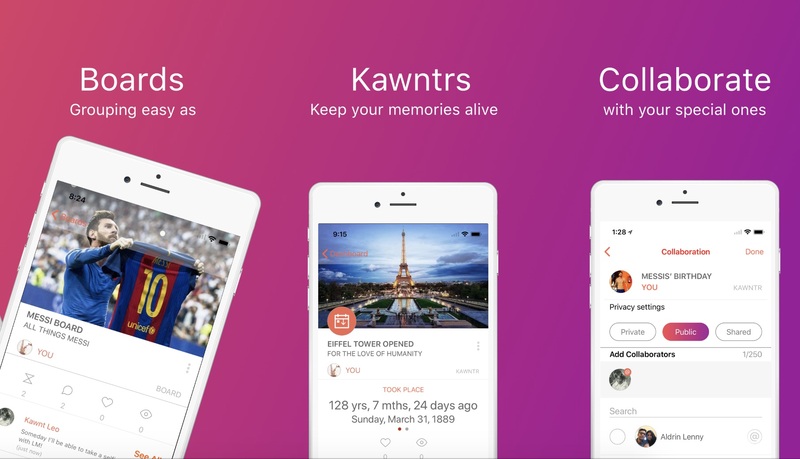 Kawntr is live in Apple Appstore! The perfect way to keep track of special events and countdowns in a fun, social way! Want to keep things private? That’s the default! Or make it public for all? No problemo! Collaborate with the special people in your life - that’s also super easy. Be notified of various events via cool push alerts. With long days of coding and testing, finally the Kawntr app had submitted to Apple Appstore. A greate team work, really appreciated.